Victoria’s level crossing removal projects use an amazing amount of steel; usually 100’s of tonnes. 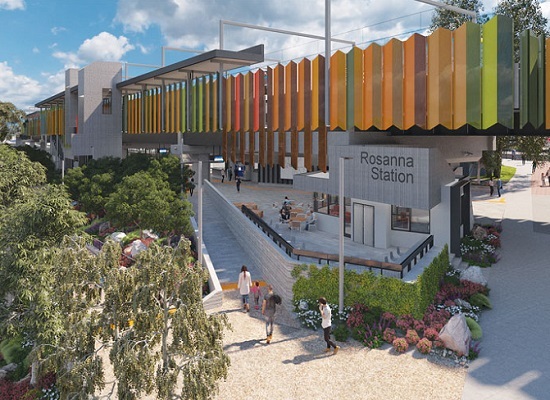 Here’s the concept for Rosanna Station, featuring similar design elements to the Gardiner Station project we worked on. These projects use all 3 of the protective coatings for steel that we deliver at Geelong Gal; galvanizing, paint & Duplex on platform canopies, pedestrian overpasses, lift towers, access stairs, bike cages, light poles, decorative screens & more.